Below are reviews of Pacifica Spray Perfume Indian Coconut Nectar - 29ml by bodykind customers. If you have tried this product we'd love to hear what you think so please leave a review. 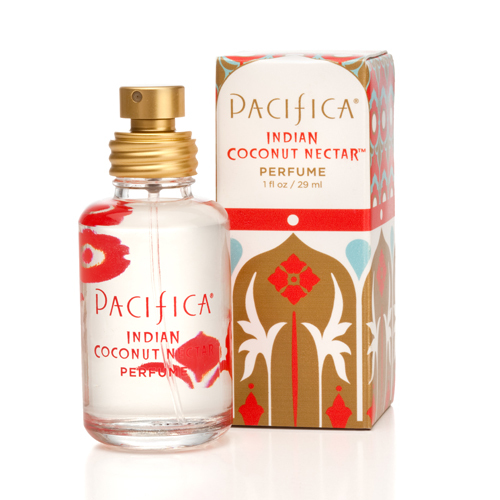 This is my favourite scent in the Pacifica range as I love coconut. I find it slightly more subtle than the Hawaiian Ruby Guava which I tend to purchase more as the scent lingers longer. Thoroughly beautiful perfume... long lasting scent and a good strong pump spray without a fiddly lid. A really good strong perfume considering the price. Nice light and subtle coconut water/milk smell.